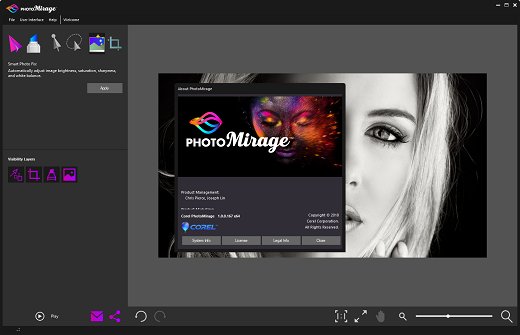 P2P group has released an updated version of “Corel PhotoMirage”. Description: Transform any image into a captivating animation in three simple steps. Whether you want to boost social engagement, drive results on the web, or simply have fun with photos, PhotoMirage™ is your key to creating attention-grabbing photo animations that engage, inspire and transfix. Share your photo animations with family, friends and the world! It’s easy to export for various social and sharing platforms including Instagram, YouTube, Facebook, Vimeo, Flickr, Twitter, Pinterest, Snapchat, Google Photo and SmugMug. Plus, you can also share through email and to the PhotoMirage user gallery. Choose the Custom export option to control size, animation duration, quality, and more. 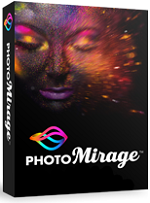 Getting started with PhotoMirage is quick and easy—and becoming an expert is too! Launch your application and be instantly greeted by the Welcome Guide, packed with helpful video tutorials and other learning content. Or, if you want to create right away, simply drag and drop your image into PhotoMirage’s workspace and you’re ready to go. Feel free to post your Corel PhotoMirage v1.0.0.167 (x64)-P2P + Portable torrent, subtitles, samples, free download, quality, NFO, rapidshare, depositfiles, uploaded.net, rapidgator, filefactory, netload, crack, serial, keygen, requirements or whatever-related comments here. Don't be rude (permban), use only English, don't go offtopic and read FAQ before asking a question. Owners of this website aren't responsible for content of comments.